It tends to go like this: we are having an interesting conversation, bantering a bit, and then one of us says something clever, or strange, and oftentimes a little surreal. Out comes the phrase, directed at me with all the sincere enthusiasm of a revelation. Of the friends, colleagues, and relatives who know that I write poems, it is uncanny how many have, at one time or another, exclaimed to me, "You should write a poem about that!" Owing to its frequency, it gets old. But apart from that, the response also intrigues me. It is different than the response comedians complain about, where, upon learning of their peculiar profession, new acquaintances will fold their arms and scowl, "Oh yeah? Then say something funny." Instead, the "you should write..." remark is approving, a kind of conspiratorial wink-and-nudge. It is as if, through our conversation, they have stumbled momentarily in to the head-space where I, as a poet, must constantly reside--a land tinkling with musical profundity and linguistic charm. Alas, that ain't always where I'm at. 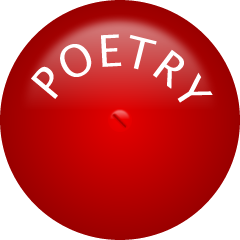 Yet this reflex exclamation indicates some interesting points about the universality of poetry. First is that people from all walks of life seem to have a poetry alarm inside their brain. They recognize linguistic pleasure, interest, curiosity, or creative drive--whatever it is that causes them to want me to expound upon this experience for them, increasing the siren's sound. Second is that they assume I could, nay should, do such a thing. In fact, taking up a single theme, and especially a clever one, is typically at best a point of departure in my writing process--and someone suggesting that I write about this or that specifically can feel as inhibiting as demanding that a comedian "be funny" on the spot. For all these reasons, I want to fire back, "No, actually, you should write a poem about it. You thought of it. You recognized its potential. Have at it! All yours." Instead, I smile--first at what a revelation this, my four-hundredth hearing of this phrase, seems to them. But what is even more amusing, and strange, is that this is only the second most common phrase I hear when people discover that I write poetry. The first is, of course, "I don't really get poetry," or one of its variants, like, "When it comes to contemporary poetry, how do you really know what is good or bad anymore?" And so, the paradox: the same people who claim to not understand the subjectivity of contemporary poetry, when confronted with a living poet and some lively conversation, have their own poetic urges piqued, and, on impulse, project the responsibility for carrying out this burst of inspiration upon the official, sanctioned poet before them. It seems that the average person's relationship to word-art is both inherent and foreign, immediate and distant, at once as intimate as their own deep thoughts, and a strange high altar mere mortals dare not approach. How have we been so duped into rejecting our own instincts when it comes to art? Writing poetry, to me, is as strange as being alive, and as natural. Perhaps the only difference between me and those who believe that someone else, someone somehow qualified, should follow their own unusual inklings toward poetry--is that I have made it a habit of listening, and following, the alarm bells in my brain. Categories: Humor, Insights, and Poetry. Tags: Words.